Local residents have thanked Team Van Oord and Kier employees for the help they provided during a clean up operation following a recent flooding incident in Birmingham. 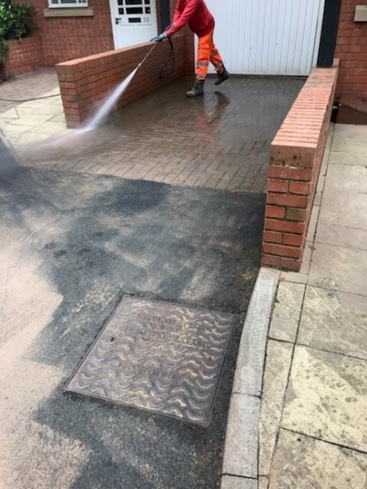 On Sunday 27 May nearly 60mm of rainfall was recorded in just one hour, causing flooding in the Selly Park district in south west Birmingham – where TVO has recently completed one flood prevention scheme and is nearing completion of a second. 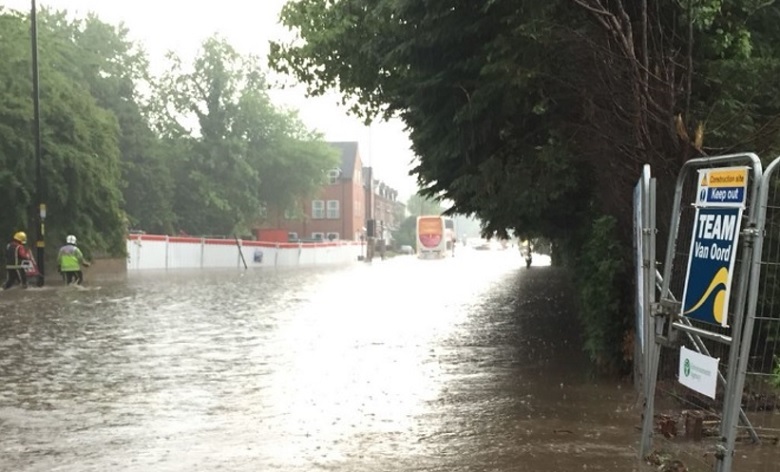 The flooding occurred at the Selly Park North site where Kier – working as part of Team Van Oord and on behalf of the Environment Agency – is currently constructing a new flood relief culvert to divert overflow from the Bourne Brook to the nearby River Rea. The new 230m long, 2.44m diameter tunnel is being installed using an open face shield and segmental rings. The rain began falling at around 5.00pm on 27 May and within an hour the cabins and containers on the Team Van Oord site had taken on more than 1.5m of water. Properties within the local community were also flooded during the event. The flood water receded in the early hours of Monday morning, following which the site was inspected and declared safe – and the clean-up operation got underway. Team Van Oord employees, supported by sub-contractor OHES Environmental, also helped local residents with their efforts to clean up the local area (pictured right). One local resident wrote in to say: “I don’t think everyone on our estate will necessarily realise the goodwill gesture of today’s clean up. The Selly Park South flood prevention scheme – carried out by Team Van Oord on behalf of the Environment Agency and in partnership with Birmingham City Council and St Andrew’s Healthcare – was officially opened in February 2018. The new flood defences include a 500m long embankment on a public open space and the construction of a pile cladded wall on the opposite bank. A flood storage area has been created to collect water from the River Rea during times of heavy rainfall and then slowly release it back into the river when levels recede. As previously stated, Team Van Oord is still working on the Selly Park North scheme which, when complete, will further reduce the risk of flooding to local properties and residents. In April 2018, Ashley Back, TVO Project Manager at Selly Park North was named the winner of a prestigious new health and safety award presented by the Environment Agency.